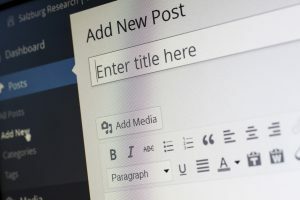 As you tap into the internet for useful information about understanding and coping with dementia, don’t overlook the bounty of excellent blogs available. One of these is alzheimer’s.net. And below is a recent entry, written by Alissa Sauer, that caught my eye. There are currently more than 5.5 million Americans living with dementia and that number is expected to triple by 2050. We may never know the full economic and physical effects that the disease has on our nation. However, a new Alzheimer’s Association and Shriver Report is giving us greater insight into developing dementia, including how burdensome it can be, especially for women. The main reason that women are more likely to develop dementia, is simply that women live longer than men and that age is still the number one risk factor for developing the disease. From that perspective, we are all at risk. Decreased educational and occupational opportunities. The dementia gene is thought to affect women differently than men. Women are less likely to exercise than men. Women are two times more likely to have depression than men. Women have a higher caregiver burden than men, which could lead to a higher risk of cognitive impairment. Women perform well on dementia diagnosis tests so that by the time the disease is caught, it is often progressed further than when detected in men. Not only are women facing the brunt of the disease, but women are also bearing the burden of caregiving. There are 2.5 times as many women than men providing 24-hour care for a parent or senior loved one with dementia. 60% of unpaid dementia caregivers are women.